In October last year, the refreshed Skoda Octavia that was launched in India in July 2017 received Virtual Cockpit from the Karoq. In the latest development, its Corporate Edition has bee launched at a starting introductory price of INR 15.49 lakh (ex-showroom India). Both the engines of the 2019 Skoda Octavia Corporate Edition come mated to a 6-speed manual transmission, and their ARAI-tested fuel efficiency has been rated at 16.7 km/l and 21 km/l for petrol and diesel versions, respectively. Developed on the lines of the 2019 Skoda Superb Corporate Edition, the new model is available in both petrol and diesel variants but will be sold exclusively to existing Skoda customers. The 2019 Skoda Octavia Corporate Edition is based on the Style trim and is available only in the white paint colour. Highlights of the car's exterior include Quadra headlamps with LED DRLs, 16-inch Velorum alloy rims and LED taillamps with the signature C-shaped motif. On the inside, the 2019 Skoda Octavia Corporate Edition features a 6.5-inch touchscreen infotainment unit that supports MirrorLink, Apple CarPlay, and Android Auto. The equipment list for the low-priced variant includes a two-zone climate control system, cooled glove compartment, four airbags (front and side), ABS with EBD, hydraulic brake assist, electronic stability control, electronic differential lock and electronic stability control. The 2019 Skoda Octavia Corporate Edition is available with two engine options - 1.4-litre TSI petrol and 2.0-litre TDI diesel. The former outputs a maximum power of 150 PS and a peak torque of 250 Nm. Going by the company claims, the petrol model is capable of sprinting from 0 to 100 km/h in 8.1-seconds and recording a top speed of 219 km/h. The oil-burner produces a maximum power of 143 PS and a peak torque of 320 Nm. The diesel version can accelerate from 0 to 100 km/h in 8.3-seconds and hit a top speed of 218 km/h. 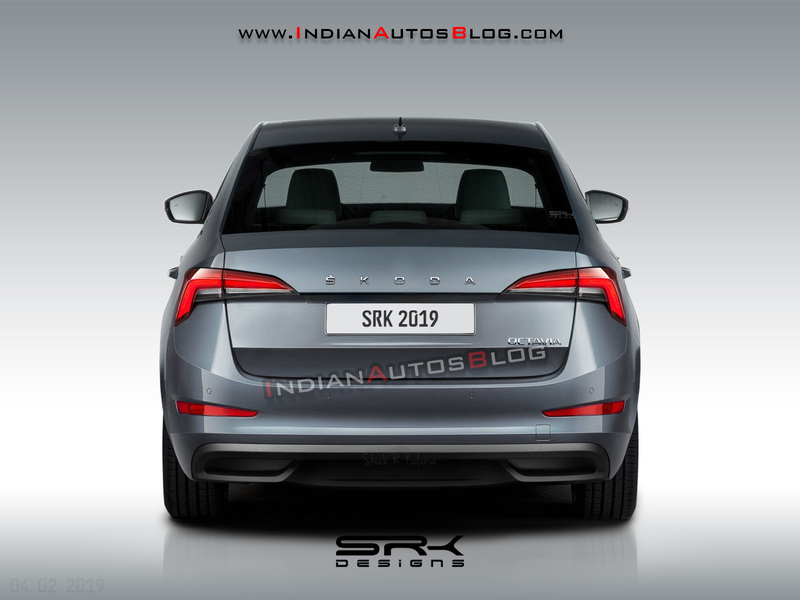 The next-gen Skoda Octavia is likely to debut in 2020. It will ride on the MQB platform (In Picture - 2020 Skoda Octavia rear rendering).